Comparison of IHC using beta actin rabbit mAb on monkey heart tissue, 0.25 µg/ml, and hematoxylin counterstain. 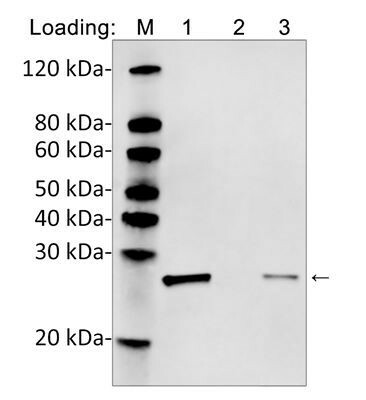 GenScript MonoRab™ Beta Actin Antibody, mAb, Rabbit ( A01865-40) shows stronger signal with low background compared with other suppliers. 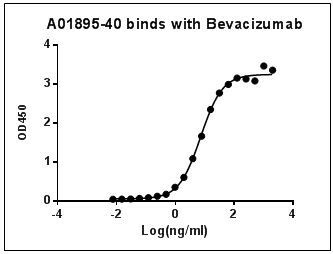 MonoRab™ Anti-Bevacizumab Antibody (30E1), mAb, Rabbit ( A01895-40) binds with Bevacizumab. While the antibody does not recognize the human IgG Fc fragment (data not shown). 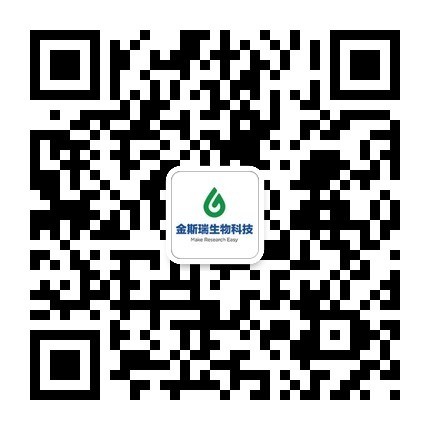 MonoRab™ Anti-Bevacizumab Antibody (46E3) [Biotin], mAb, Rabbit ( A01896-40) blocking with Vascular Endothelial Growth Factor 165 (VEGF 165). 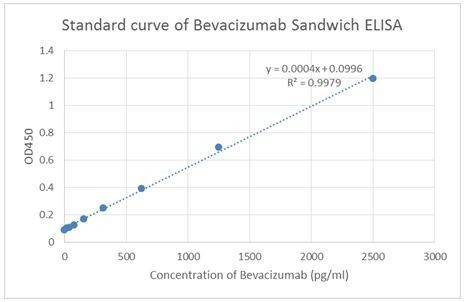 Standard curve of Bevacizumab Sandwich ELISA. 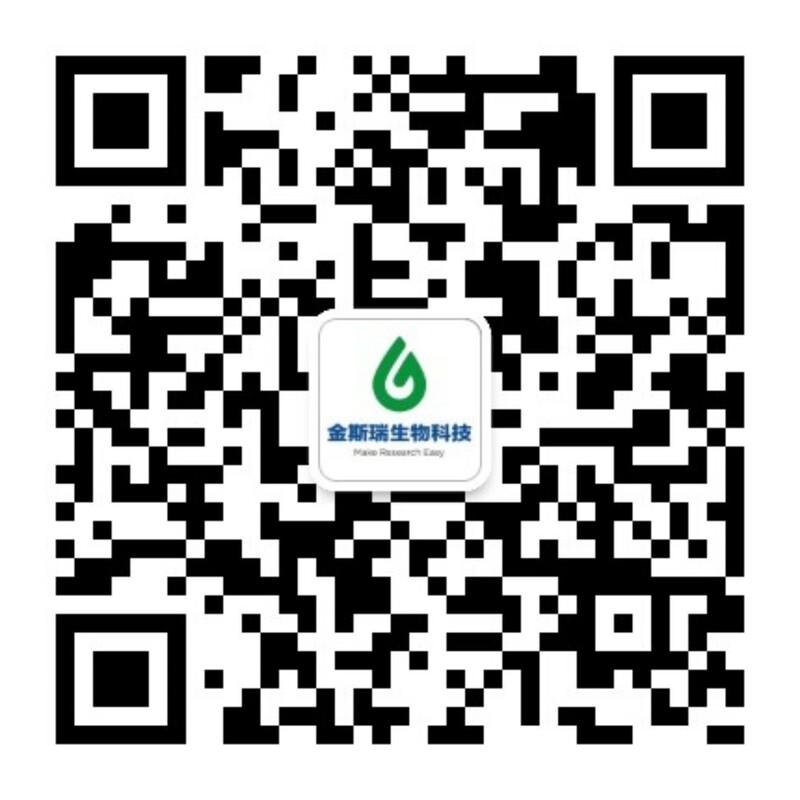 It is developed by using MonoRab™ Anti-Bevacizumab Antibody (30E1), mAb, Rabbit ( A01895-40) and MonoRab™ Anti-Bevacizumab Antibody (46E3) [Biotin], mAb, Rabbit ( A01896-40) as the capture and detection antibodies, respectively. 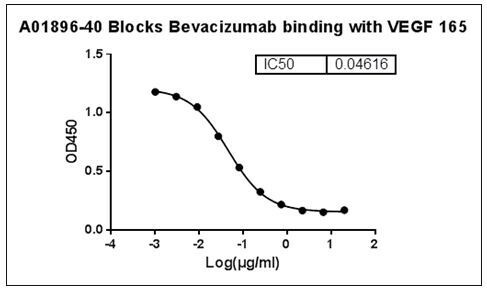 The sensitivity of detecting Bevacizumab is up to 20 pg/ml. 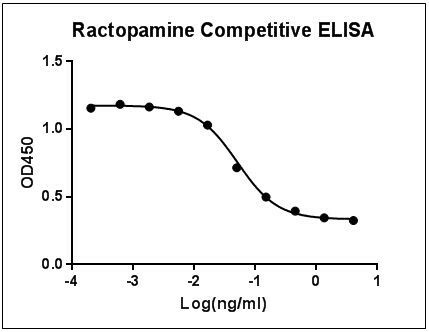 MonoRab™ Ractopamine Antibody (A6), mAb, Rabbit ( A01872-40) binds with Ractopamine.